Just look at that cookbook! The kooky 70s font and that classy Tuscan-inspired styling on the cover. I came across this neat little set at the Hospice shop in Birkenhead and a cool twenty bucks later it was mine. A quick Google while in the shop confirmed the Romertopf was a bit a cult thing, and I wanted in. 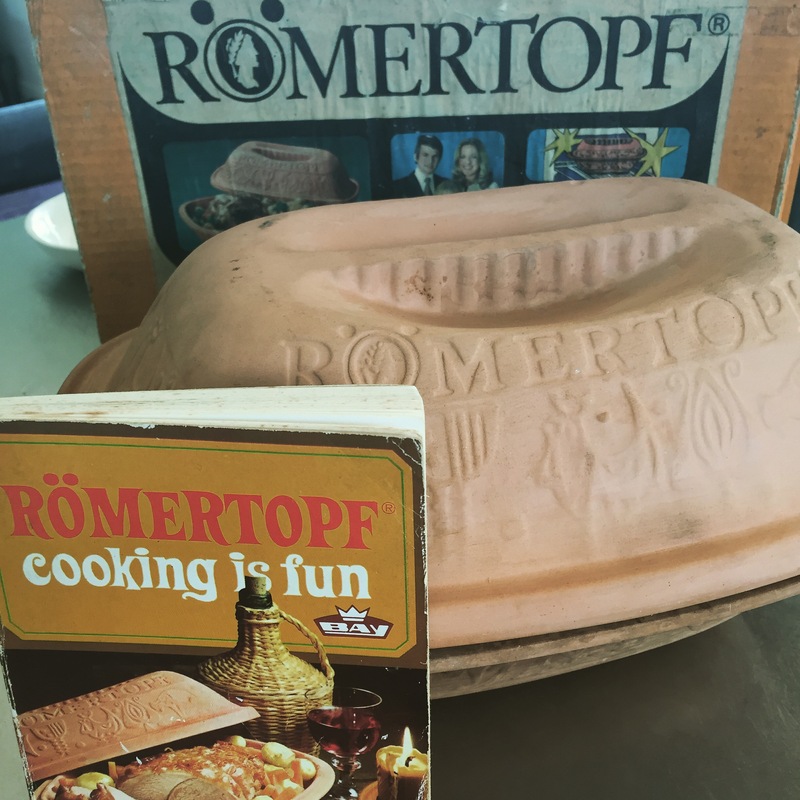 Translating from German as ‘Roman pot’, this guy’s made from red clay and needs to be soaked in water for 30 minutes each time before you cook in it. Haven’t cooked in it yet, so if anyone out there has any wisdom to impart, please do. I have bread in mind but hear it’s especially good for a whole chook. Once I’ve given it a few spins I’ll post an update. Thanks opotikigal – this one must be at least 30 years old too, if not 40! Built to last for sure.